It’s been a week since Thursday night of the CMJ Marathon wrapped up, and the dust is still settling. It’s a general rule of thumb at CMJ that for every 15 bands you see, one will be near spectacular. This Thursday there were three that took me by surprise. There’s something strangely adult and childish about Frankie Cosmos. You could call it twee, but she seems to have too much awareness and kindness to be camped in with a word like that. She’s a fun, talented musician and creative force that the Knitting Factory is so great at bringing together. Lewis Del Mar: The Rockway Beach native is an asskicker. He drew a sizeable crowd to The Studio, the basement floor of Webster Hall that is reserved for more rocklicking bands that don’t often fill up the room. Del Mar showed last Thursday that he knows his way around a loop machine and combines a dizzying number of genres to make a pleasing sound that is unearthly. He veers toward country, dubstep, and lo-fi punk without entering any of them. This mash-up is probably nowhere more apparent than in “Loud(y).” Live, he showed off his vocal chops and his latest musical innovations. Think Hozier with hashish and Prince albums around the room. 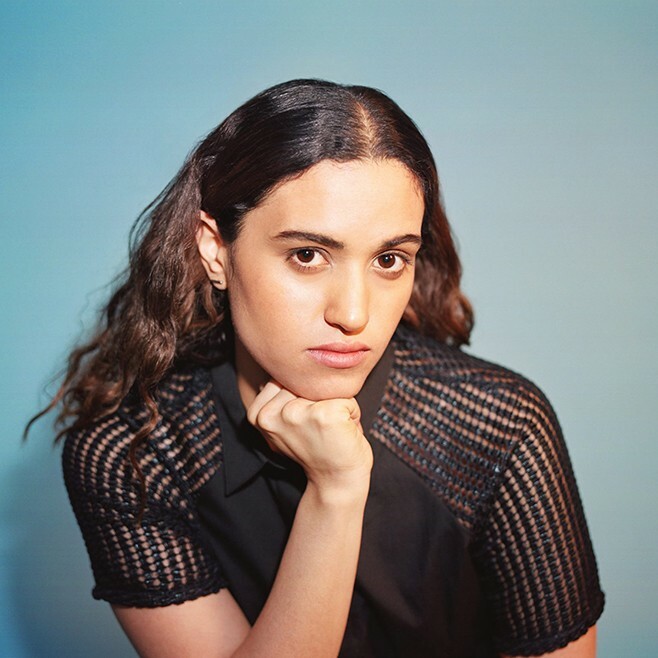 Empress Of: If you didn’t love Empress Of before her cover of “Hot N Cold“, seeing her live will seal the deal. Empress Of (Lorely Rodriguez) is an all around amazing performer. She has a soulful, classy voice, and is a great live performer, from Terminal 5 (capacity 3k) and Cameo Gallery (200 capacity). She wore an army jumper skirt and like many people who actually produce their own music, had tennis shoes on as she danced and worked her way around synths and a looper. Rodriguez wrapped things up with the ever catchy “How Do Yo Do It,” which is pretty much a Donna Summer song restructured for the 21st century. Rodriguez has some serious talent, especially compared to many female DJs who try their hand at singing. You will definitely be hearing some comparisons to Grimes.